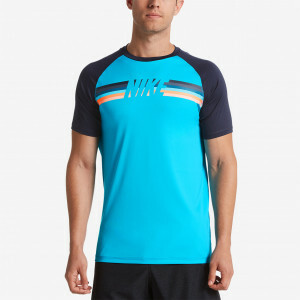 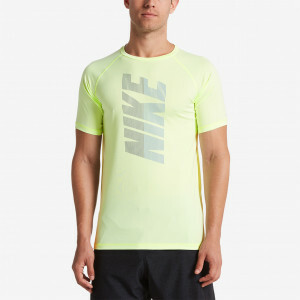 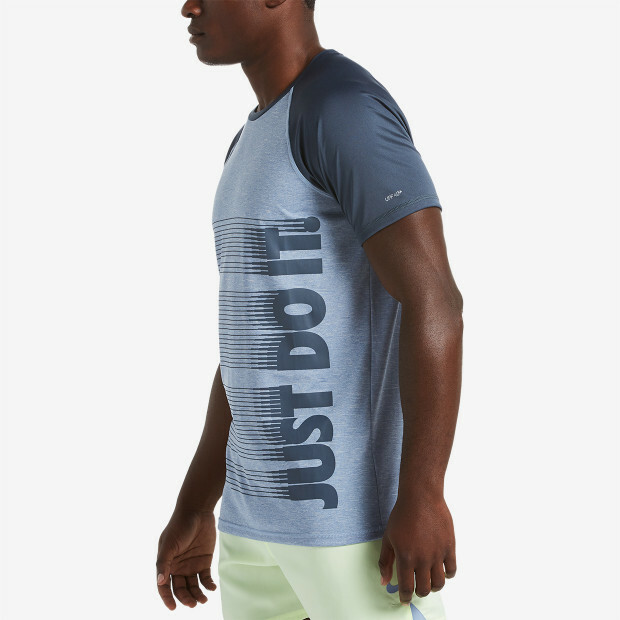 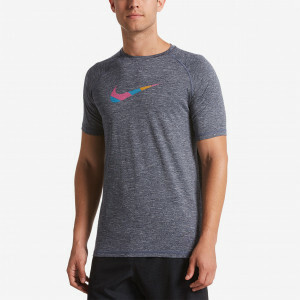 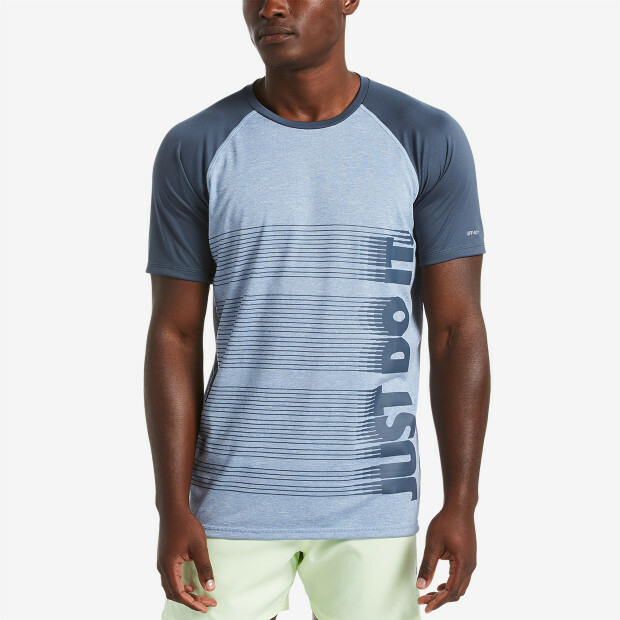 Nike Swim Men's Heather JDI Short Sleeve Hydroguard mixes a comfortable jersey knit with lightweight interlock sleeves and a bold Nike logo for extra style at the beach or pool. 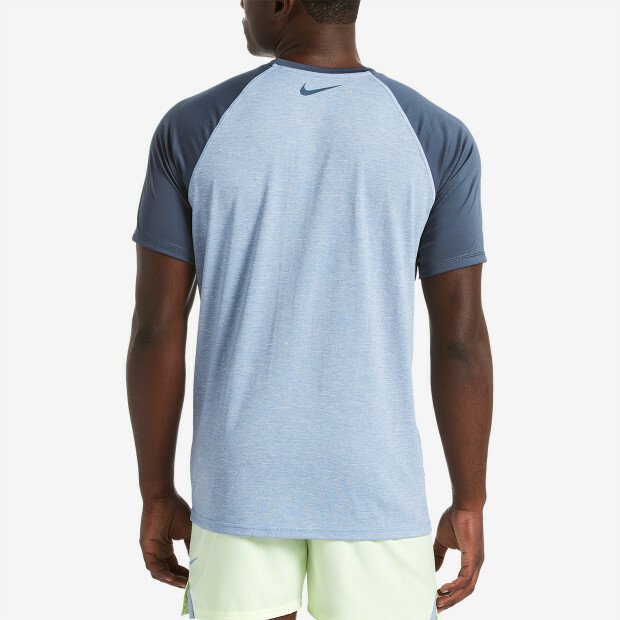 UPF 40+ protection keeps your skin protected against the sun's rays. 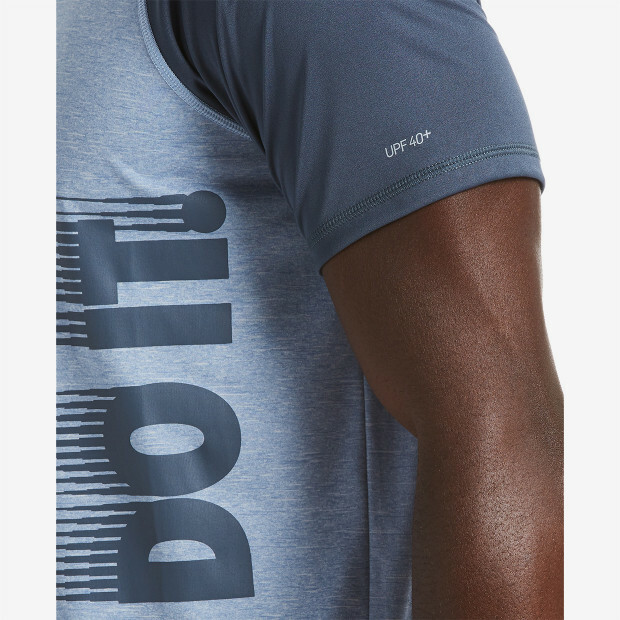 Dri-FIT technology wicks away moisture to keep you dry while flat seams ensure chafe-free wear for maximum comfort.